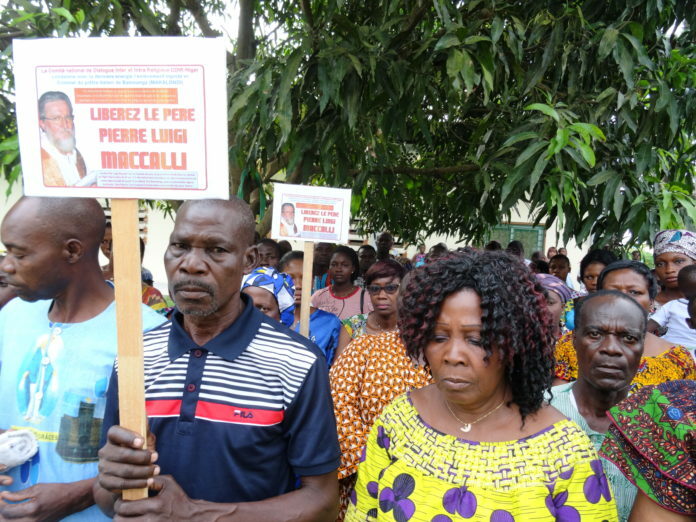 Dear friends: This morning, after Mass, we had a small prayer walk in Abob-Doumé to ask God for the release of Father Pier Luigi Maccalli. People understood and participated with a lot of faith. Courage!!! 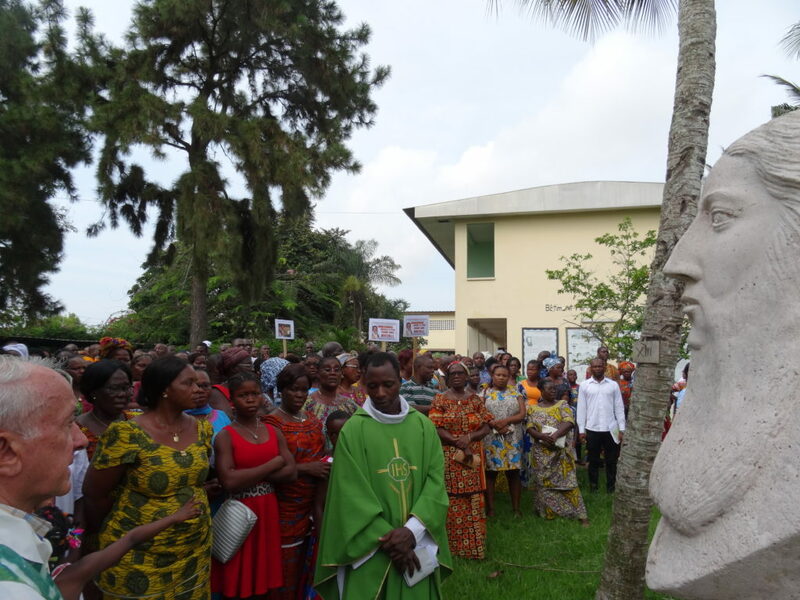 Reporting from the Ivory Coast, Agenzia Fides (19/11/2018), the Vatican’s information service, reported that prisoners in Abidjan Prison organized a day of prayer and fasting for the wellbeing of kidnapped SMA missionary, Fr. Luigi Maccalli. Abidjan prison is the largest in the Ivory Coast and having been informed about the kidnapping of Fr. Luigi on 17 September 2018, the prisoners have committed to prayer and fasting in the hope that he will be returned safely to his confreres and family. Speaking to Agenzia Fides, Fr. 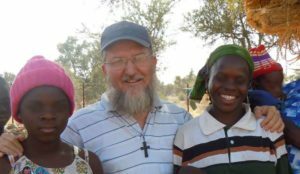 Ramon Bernard SMA, a native of Saragossa, who works in the Ivory Coast, said that Christian inmates at the prison are now holding regular prayer vigils for the Italian missionary. Fr. Ramon is a chaplain at the prison. A woman prisoner said that on the eve of the 2nd month of Fr. Gigi’s captivity inmates observed a day of fasting for him. “Inmates in prison can understand what Fr. Gigi is going through. 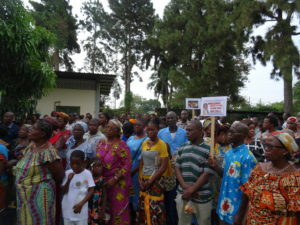 Therefore the prayer and solidarity of the prisoners of Abidjan certainly has great value. And we hope that it will serve to accelerate Fr. Gigi’s release”, Fr. Ramon told Fides. Dear friends: This morning, after the Mass, we had a small prayer walk in Abob-Doumé to ask God for the release of Father Pier Luigi Macalli. People understood and participated with a lot of faith. Courage!!! Fr. Ramon is a Spanish SMA attached to the Regional House in Abidjan. He works as Guest Master there and is presently constructing a large church, hoping that one day the area will develop into a parish. The actions of the Fr. Ramon’s congregation and the Abidjan prisoners are a timely reminder as we approach the holy season of Advent to double our prayers for Fr. Luigi and, perhaps, to follow their example of fasting, imploring the Holy Spirit to sustain him in body, mind and spirit and to return him to his family for Christmas.